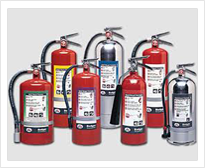 Coast Fire Equipment has been servicing the local bay area companies since 1989. 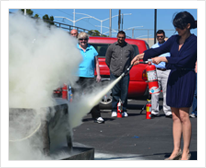 We specialize in servicing fire extinguishers and training our customers on how to use them. We travel as far as Monterey, south; Santa Rosa, north; Manteca and Stockton, east; and San Francisco, west. There are nine full-time service technicians that are on-call to take care of emergencies and annual inspections with mobile units for on-site service. Our office staff can be reached from 7:30 am to 4:00 pm Monday through Friday. In case of emergencies or any questions that a customer may have, the phones are transferred to the owner’s home after hours and on the weekends. Our goal is to try to give personalized attention to each of our customers. We try to keep the same service technician with the same client in order to build a relationship between us for many years, while providing top notch quality service. 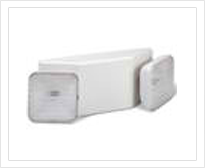 Clients are called in order to schedule service, and emergency work is followed-up within 24 hours or less. 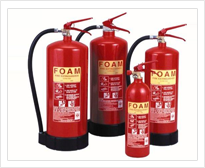 Besides servicing fire extinguishers we also sell, service and install fire extinguisher cabinets and fire hoses. Since we take care of many large companies such as Intel, AT&T, Comcast, Cargill Salt and many others, we carry $2,000,000 of finished general liability insurance which far exceeds the standard requirements by law. We have a fully trained and licensed shop capable of hydro testing D.O.T. 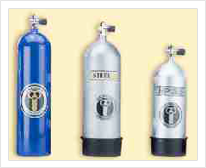 cylinders and refilling CO2, for our customers, and fellow Fire Equipment companies, to fulfill their licensing requirements. We also service and rebuild system cylinders (kitchen & Cart. Op.) in-shop, and in-field requalifying. We would be grateful to you if you could review our prices and contact some of the people that we currently deal with, in order to reassure yourself of our quality service, attention to detail, our positive attitude and friendly disposition. If there are any questions please call me at the office: 925-606-1517 or my cell phone: 925-784-1020.